If you’re planning to pour a concrete driveway, sidewalk or a patio this summer, use FlexxBoard25 foam board insulation. Two-inch 4-by-8 sheets of high density FlexxBoard 25 insulate concrete slabs to protect from frost expansion and cracking. FlexxBoard25 increases the life and structural integrity of concrete for exterior and interior applications. In addition to exterior concrete slabs, such as driveways, sidewalks and patios, some interior applications for FlexxBoard25 include concrete slabs for basements, structural fill, shop/garage slabs and concrete floors. FlexxBoard25 can be purchased at most building supply centers. For more FlexxBoard25 homeowner information, click here! FlexxBoard25 goes beyond driveways or sidewalks. Monuments, sports fields, and much more can be built a new way! Without cracking and buckling due to frost! For more professional info click here! 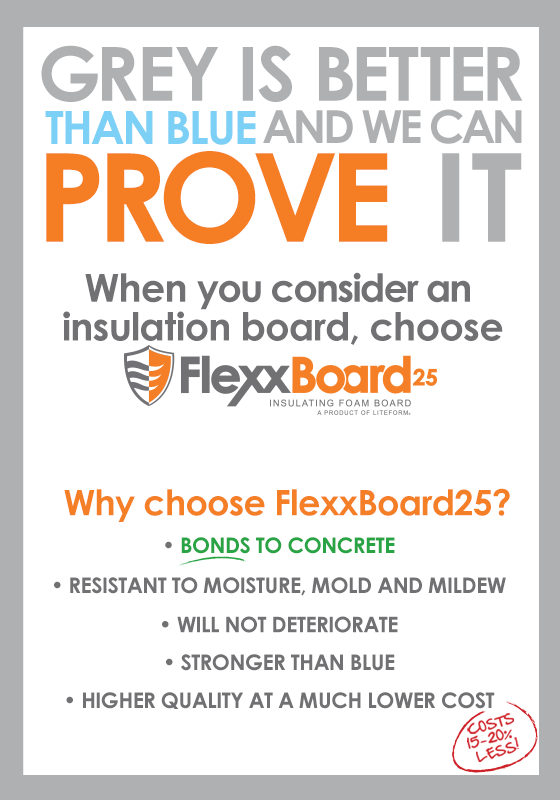 FlexxBoard25 bonds itself to concrete resulting in a stronger, more durable insulation. 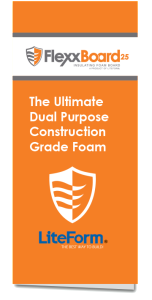 The foam will not rot or deteriorate when exposed to natural elements. Overall Dimension 48" x 96"